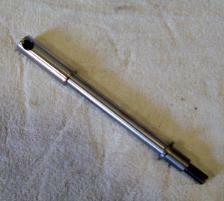 - Custom made axle to allow use of minibrake wheels on Sportsters. NOTE: Please allow 3 to 6 weeks for production! 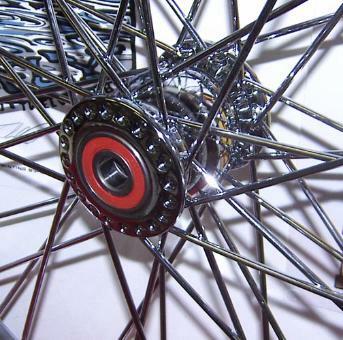 - Rims are powdercoated black with polished stainless steel spokes. Conversion kits. Both are for 3/4" axle. - Rear rim has 2 flanges (Brake disc and Sprocket/pulley). - Front tire is Avon AM41 F 150/80X16 H VENOM. 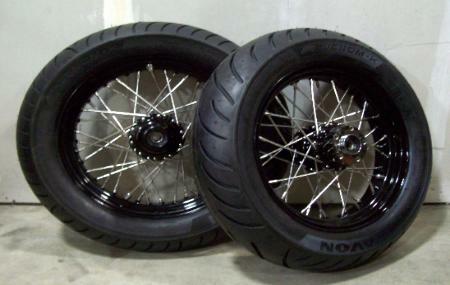 - Rear tire is Avon AM42 R 150/80X16 H VENOM. - A very nice matched set at a great price (Includes mount & bal.). 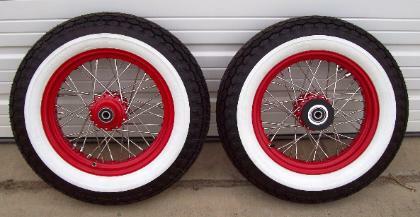 - Rims are powdercoated red with polished stainless steel spokes. - Both wheels are for 3/4" axle. 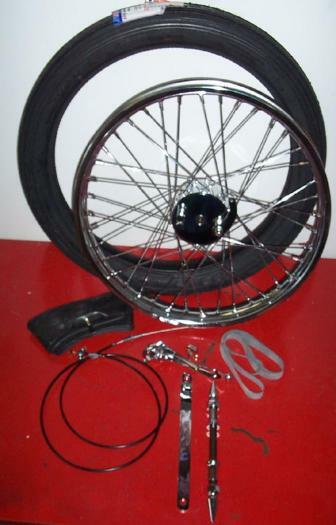 - Both tires are Wide Whitewall Coker 5.00-16" 4 Ply Nylon Cord. 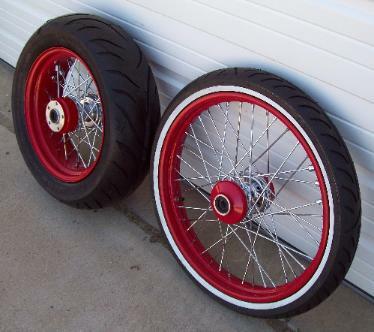 - Rims are powdercoated red with chrome spokes. 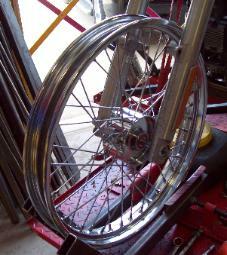 - Front wheel is 21" x 2.15". Rear wheel is 16" x 5.5"
has 1 flange (Brake disc). 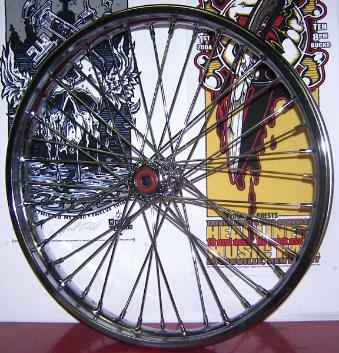 - Front tire is an Avon MH90-21/56H (Thin whitewall). - Rear tire is an Avon 200/60R16 (Blackwall). - A very nice combo set at a great price (Includes mount & bal. ).